It was just time to redo my branding. I loved my hot pink, black and white baroque… but I really decided that it just didn’t match my personality. 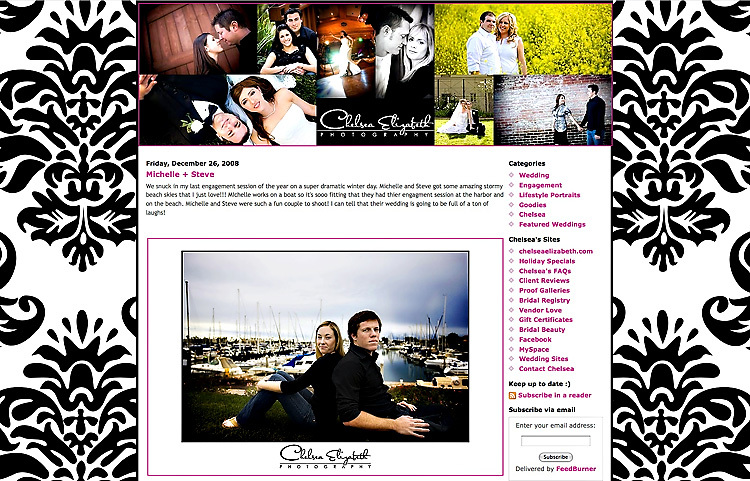 While I loved the bold style, I wanted a site that reflected a little more of me and was a little less trendy. So after weeks of soul searching… who is Chelsea… I came up with something that I absolutely love to death! Who knew what would start out as a change in colors on a website would turn into such a project. After many hours of picking out colors, defining my style and brainstorming design concepts I can finally launch my new branding. Say goodbye to the old Chelsea Elizabeth! And say Hello to my new sophisticated blue! Some baroque borrowed from my old site, some new grungy swirls and a little some thing blue…. Don’t get too attached to the old blogger blog. In a few more weeks I’ll be launching my new blog-site. The best is yet to come! Thanks to the wonderfully talented Chelsea from Aqua Poppy Designs for helping me revamp my blogger blog! She’s so talented. 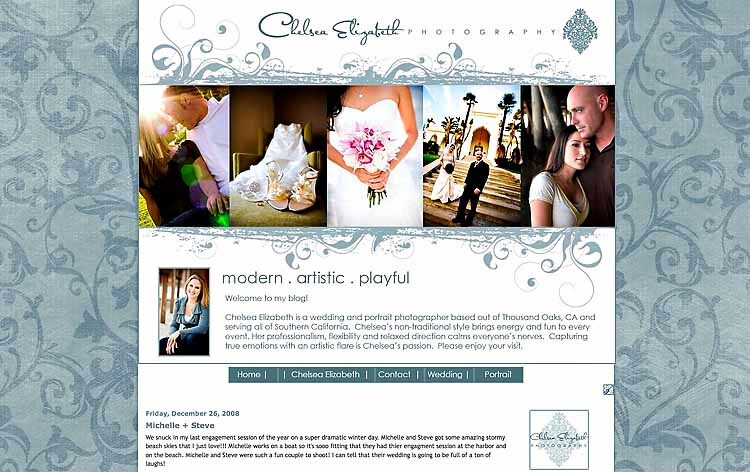 Anyone who has a blogspot blog should definitly contact her for some fabulous customization. She rocks! I love the new custom background she made for me! love the new logo; and the new design! Love the new look, and I can’t wait to see what you have coming up! And, I swear I will be emailing you regarding our albums soon!